THIS Is The Song You'll Be Dancing To At Every Wedding! The wedding season just isn't coming to an end this time and we're absolutely loving it! Every weekend comes with a brand new celebration where we make tons of new friends and make so many memories! And if you're as crazy as us about weddings, then you know that music plays such a huge part in all of that fun. So who are we to say no to a brand new one to add to that playlist?! Here's one that you're going to totally love - especially if you're a "ladkewali"! It's the perfect new track to do the same old thumka to - trust us! PLUS: Subscribe to POPxo on YouTube for original videos + our favourite videos from around the web! MUST-READ: #Aww: He Found The PERFECT Song To Propose To Her! 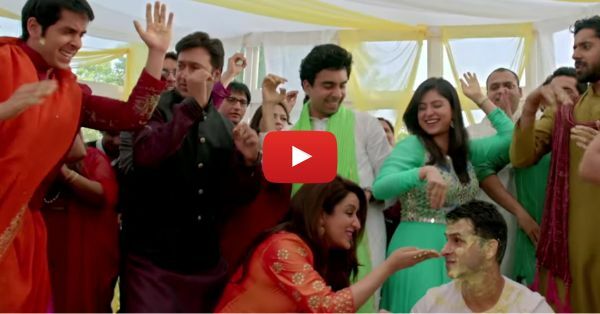 MUST-READ: You’ll Be Dancing To THIS Song At Every Sangeet This Year!